Welcome to Surfside Inn and Suites where the benefits of staying in Universal Orlando Resort comes at a price that can’t be beat. This brand new hotel introduces extra affordability to your Universal vacation, with the lowest rates of any Universal Orlando Resort™ hotel. The feeling here is relaxed and easy, with a fun surf vibe woven throughout. 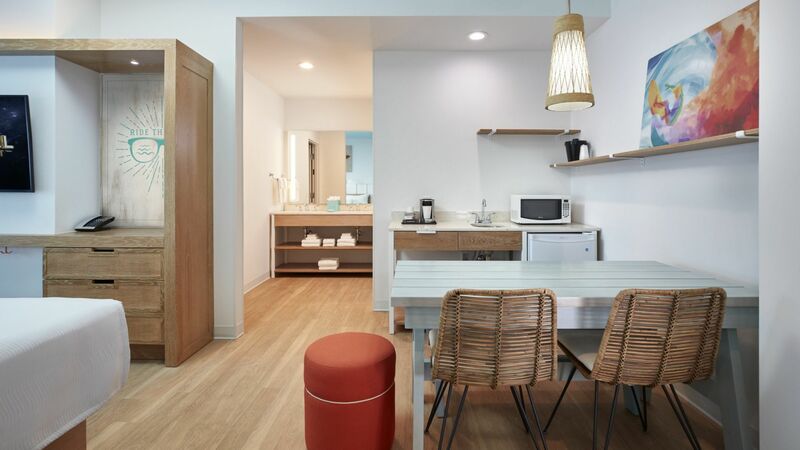 In addition to sunny, surf-themed rooms, Surfside Inn and Suites will feature spacious, two-bedroom suites that sleep six, making it the perfect spot for families of any size to experience a Universal Orlando Resort™ vacation. 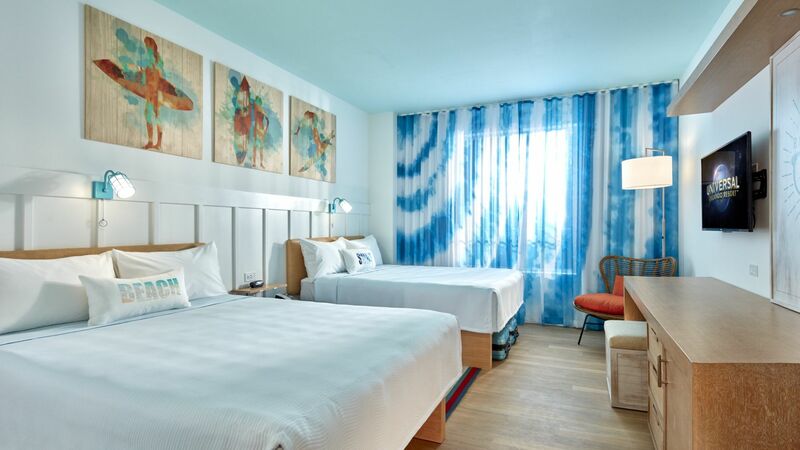 Surfside Inn and Suites will open June 27, 2019 and will be part of Universal’s Endless Summer Resort, a vibrant and sunny retreat. A sister hotel of Surfside Inn and Suites, Dockside Inn and Suites, will open in March 31, 2020. *Requires theme park admission. Early Park Admission begins one (1) hour prior to regular scheduled park opening to either Universal Studios Florida™ or Universal’s Islands of Adventure™ as determined by Universal Orlando and Universal’s Volcano Bay™. Valid at select attractions at each park. Attractions are subject to substitutions without notice. Additional restrictions may apply. © 2018 UCF Hotel Venture V. UNIVERSAL TM & © Universal Studios. ENDLESS SUMMER registered trademarks, Bruce Brown Films, LLC. All rights reserved.